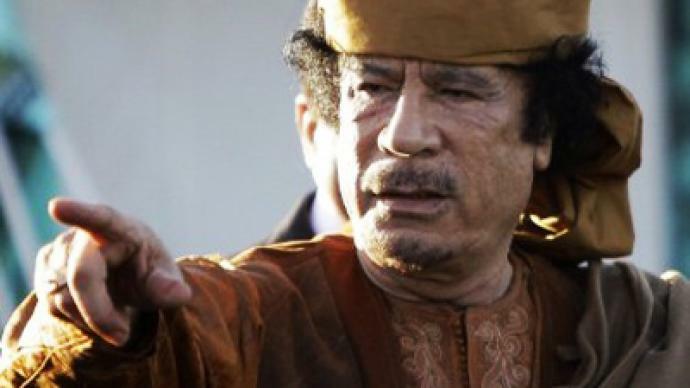 Colonel Gaddafi has addressed his nation to say the battle with “aggressors” will last “until the end”. 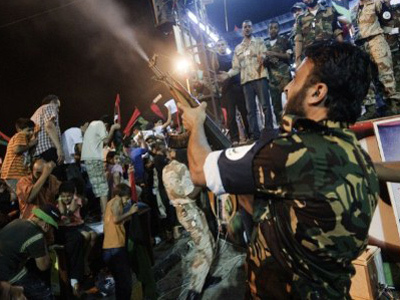 Meanwhile, the rebels’ assault on the Tripoli compound brought no visible results and shelling goes on in Libyan towns. 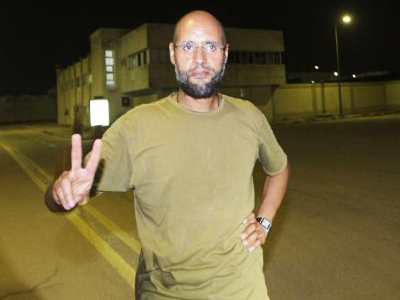 Muammar Gaddafi said leaving his compound was a tactical move. Colonel has addressed the nation via Libyan radio, declaring that “in the fight against aggressors there is only death or victory.” He said that the Bab al-Aziziya compound no longer exists. It was totally destroyed by 64 NATO air strikes. As of now, the leader and his family are nowhere to be found. Gaddafi spokesperson, Moussa Ibrahim, speaking on Libyan television from an undisclosed location, warned the battle for Libya will turn the country into a volcano, lava and fire. He stressed that the country’s government can resist the attacks for months or even years. “Libya will become a volcano,” he promised. He condemned the rebels and claimed that 12,000 tribesmen were converging on Tripoli to fight. 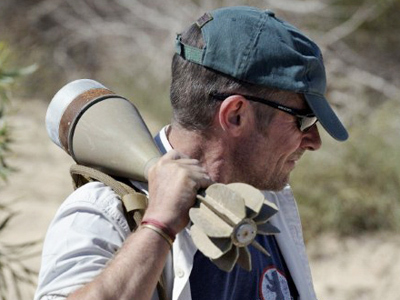 Ted Rall, an American columnist and author says Libya is likely to be plunged into a long-running civil war. Dubai-based al-Arabiya TV says that the capital is being pounded by Gaddafi forces’ Grad missiles and mortars. 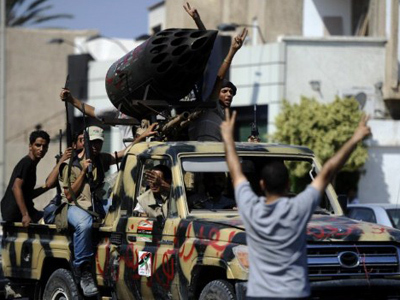 Reuters also reports pro-Gaddafi forces attacking the town of Ajelat, west of Tripoli, with missiles and tanks. Rebels overran the fortified compound of the Libyan leader in Bab al-Azizya in Tripoli following intense fighting with pro-Gaddafi forces and heavy shelling by NATO jets late on Tuesday. 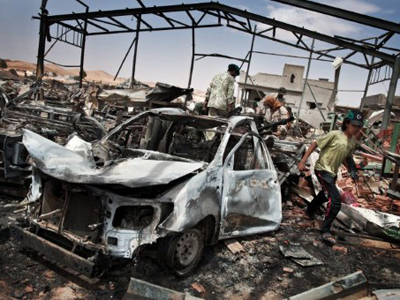 Rebels claimed also they gained control of much of the capital, but Gaddafi's whereabouts were still unknown. Meanwhile, the National Transitional Council reports that 400 people have been killed and more than 2,000 injured over the last three days of fighting. Alternative reports claim that more than 1,000 people have died in the violence and NATO air strikes. ­Don DeBar, an anti-war activist and journalist, believes that whatever Colonel Gaddafi or the rebel leaders say, it is practically impossible to verify what is true or false at this point.